Florian Fritsch has been an entrepreneur and visionary for 20 years. He recognized the potential of innovative, advanced technologies at an early stage and supported them. His curiosity and adventurous spirit constantly urged him to make the impossible come true. 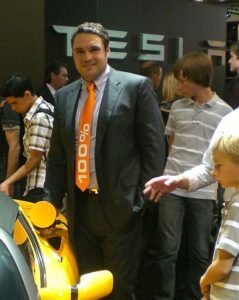 This made him start believing in the technology of electric mobility long before others did, for instance, as he became one of the first to invest in the Tesla Company from Palo Alto. He was also the first person to drive a Tesla in Bavaria to demonstrate the progress the EV technology had made until this point to the people. 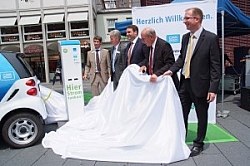 Apart from this, he also developed infrastructure designs and management systems, as well as charging poles for electric vehicles, in order to push electromobility in Germany forward. Florian Fritsch invested not only in electromobility and sustainable real estate but also in renewable energies, especially deep geothermal energy. After a severe accident in 2011, he was forced to drop out of the project for health reasons. The subsequent years were marked by corporate disputes, which were partially taken to the public by the opposing side to show only their point of view. Finally in 2015, a mutually agreed deal has been reached with his former business partner, who took over the business after his accident. Florian Fritsch wishes him good luck in the further development of the project and a lot of success. Since then Florian Fritsch has been involved in different fields of the renewable Energy Development and Supplies as advisor, among other things. His role is mainly counseling technopreneurs, who search for new solutions in the field of sustainability, especially in real estate development. Florian Fritsch has established himself as a respected expert in the fields of real estate, e-mobility and renewable energy. Furthermore, he gained a lot of experience in the fields of IoT, smart home, smart metering and electromobility. He is always happy to pass on his knowledge, be it as a speaker at international conferences or as an advisor, investor or business angel. Being the experienced serial entrepreneur and founder he is, Florian Fritsch has been actively involved in a range of start-ups and founding campaigns as a business angel and thus supports numerous initiatives. In the projects he supports, he always places great importance on the unity of technology, innovation and sustainability and wants to ensure that the technologies are oriented towards the future and towards making the world a better place. Apart from his duties as an investor, Florian Fritsch also occasionally acts as a match maker between other investors and projects. Because of his good connections to many experienced investors, he is always able to find the right business partner for a particular project. You can view Florian Fritsch’s profile on AngelList.